We would like to thank all of our past customers for their patronage over the years. It was a pleasure to serve you. Our Sister sites below have a whole range of wonderful information and ideas. Please take a look. CoffeyTalk.com Ancient Wisdom, Modern Style. The online magazine by lifestyle and relationship expert Lissa Coffey. Whether you’re looking for Lifestyle or relationship advice, or the latest in home and fashion trends, CoffeyTalk serves up an inspiring blend of ancient wisdom and modern style! WhatsYourDharma.com “Dharma” is a Sanskrit word meaning “purpose.” We each come to feel at some point in our lives that there is something important for us to do, or learn, or experience. As we grow in awareness, we seek to know our dharma, to fulfill our purpose, to somehow have our lives make sense in the context of everything that is going on in the world. In Vedic philosophy, there are four yogas, or paths, that can lead us to our dharma.Take the free quiz to determine your dharma! WhatsYourDosha.com Ayurveda is India’s 5,000 year old “Science of Life” and it is the art of living harmony with nature. Your dosha is your Ayurveda mind and body type. There are three doshas in Ayurveda: Vata, Pitta and Kapha. We each have all three of the doshas in our physiology, just in different proportions, so your dosha is unique and personal, it is like your fingerprint. To determine your Ayurveda mind/body types, start by taking the dosha quiz. This will tell you which dosha is dominant for you. What’s Your Dosha, Baby? DoshaMates.com Many people think of a soul mate as a “sole” mate – meaning that there’s this one perfect person out there just for them. But it doesn’t work like that. The law of relationship says that we’re all connected – so we’re all soul mates. There are actually many, many, people in the world who could be a great match for you. So where do you go to find these people? You’ve probably tried the usual places – singles bars, the gym, online dating sites. You might have even gone out on some blind dates. But until you know who you are, and what you’re looking for in a relationship, you’re probably wasting your time. Ayurveda, the Science of Life, lets you know EXACTLY who you are, and what you’re made up of. And when you know your own dosha, or mind/body type, you gain insight into the kind of partner who would be best for you, who would fit in to help you be the best version of you. ClosureBook.com Relationships do not really end – they only become redefined. And no matter what experiences we have, they all afford us opportunities for growth and greater Self-realization. Through the myriad forms of relationships we experience over the course of a lifetime, we have the opportunity to learn about ourselves—to see how each relationship, no matter how challenging or difficult or joyful, causes us to change, to grow, and even to discover unknown inner strengths. DoshaDesign.com Dosha Design is a holistic approach to design. Our environment is a reflection of what is going on within us. We can make changes to our environment that will influence different areas of our lives. It’s about decorating our homes, but also designing our lives! Dosha Design lets you express who you are and creates a space in which you love to be. PSMeditation.com is a place where you can learn all about meditation and get meditation information. 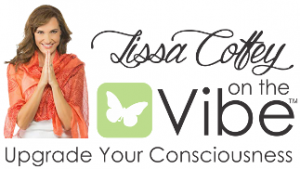 Lissa Coffey is a credentialed Primordial Sound Meditation Instructor who has worked closely with Dr. Deepak Chopra since 1998. Primordial Sound Meditation is a prerequisite for advanced meditation techniques taught by Deepak Chopra in the “Seduction of Spirit” classes. EZBookMarketing.com In “Marketing Secrets for Authors and Others” you’ll get my 8 point plan. Each point is filled with awesome ideas that you can implement yourself, right now. You don’t need a publicist, or a huge ad budget, you can do this all on your own! OnlinePeaceCell.com The program for peace asks you to become a peacemaker by following a specific practice every day, each centered on the theme of making peace real one step at a time in your personal life. Each practice takes only a few minutes. You can be as private or outspoken as you wish Those around you will know that you are for peace, not just through good intentions, but by the way you conduct your life on a daily basis. Great gift ideas in our Cafe Press store. Original designs on T-shirts, hats, hoodies, bags, mugs, water bottles and more. Express yourself! Our minds are so constantly busy that we often forget that we actually have a choice in the matter. We can choose our thoughts! And by choosing our thoughts, we are choosing our experiences and creating our futures. And we need to remember that our reactions are thoughts, also. Instead of letting our emotions ride on auto-pilot, we can choose to take a breath and take inventory rather than giving in to an impulsive reaction. In this way, our thoughts can lead us in a much more productive direction, one that creates solutions rather than problems.